Constructed of 0.024" mill-galvanized steel and seams protected with sealant. Top reinforced with 1/4" steel wire rim. Heavy corrugations give bucket extra strength. Embossed, permanent graduations for easy measuring of water and solution. 2" casters, rubber wheels with ball bearings. 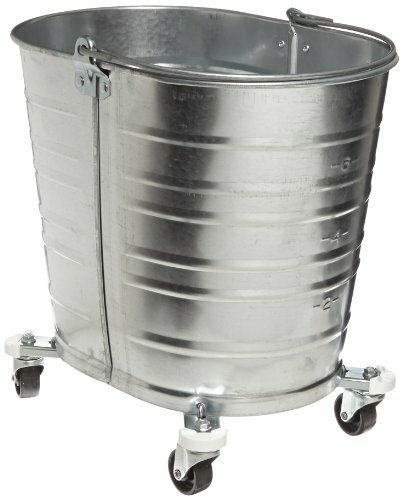 35 qt capacity.